As 2018 draws to a close, it’s time to look back at some of the best and worst movies of the year. Despite the fact that we’ve got some great movies this year, there have been a ton of stinkers. Today, we’re going to look at the worst movies of 2018. The Nun is not a good movie. As a fan of the Conjuring franchise I expected a lot more. The film lacks the eerie atmosphere and scary moments that The Conjuring films and Annabelle: Creation have. Many of the characters are also poorly written and the dialogue is mostly exposition. 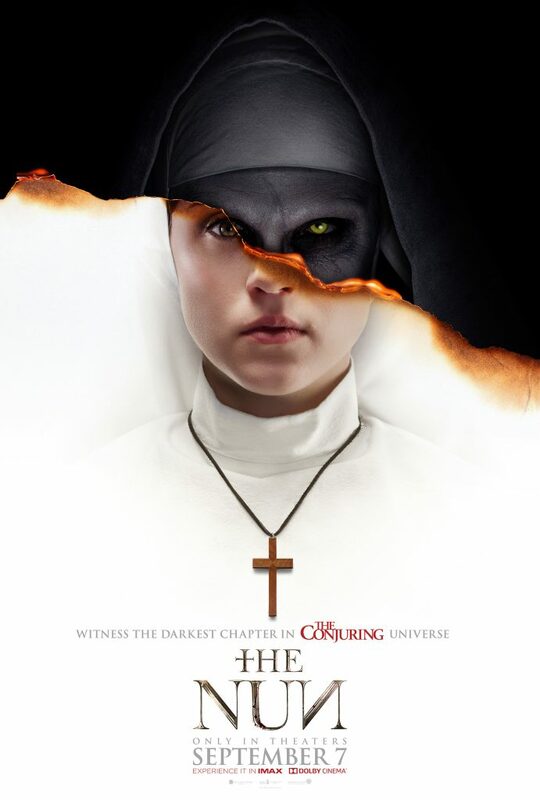 As a huge fan of Valak the Nun from The Conjuring 2 I was excited to see more from her. Unfortunately, she is barely in it and the movie is so dull that I eventually lost interest. The actors are trying and the film looks beautiful but overall, a poorly written story, characters and script in general led to a badly made film. One of the worst of the year. There is a huge gap between this movie and Lego Flash when it comes to quality. As a huge fan of Sicario, I was anticipating the sequel but wow this movie didn’t even come close to the original. The movie lacked the direction, cinematography and score that the old one had. The first half was actually quite great but the movie fell off the rails and had an unsatisfying and cheap ending. The performances are still great but the film has no flow and is much weaker when it comes to the technical aspects of the film. Den of Thieves is a completely forgettable movie. The concept is actually pretty good but the plot was way too convoluted and stuffed with pointless subplots. I was also bored throughout most of the movie as it was easily around 40 minutes longer than it had to be. Some of the action sequences work but this is definitely one of the worst movies of 2018. I wasn’t a fan of the first one at all. In fact, I thought it was easily the worst Harry Potter movie. But, the trailers for this one looked good. Unfortunately, this movie was one of the worst of the year. It was extremely boring and was a complete mess. Everything with Dumbledore and Grindelwald worked but there wasn’t even close to enough of it. I’ve seen comparisons with the Star Wars prequels and I feel that pretty much sums up the quality of the movie. Hopefully they fix all the problems this movie had by the next one. This movie could’ve just been dumb fun. Instead, they failed to embrace the silliness and made a movie that took itself way too seriously. The dialogue was awful, the movie was packed with moments that tried to be heartfelt and just fell flat. I mentioned this on my most disappointing list but this should’ve been like Rampage. Hopefully the next movie the Rock puts out is better than this. When We First Met is a bad romantic comedy. It has some moments but I feel like this would have worked a lot better as a short film. The movie drags a lot and feels extremely repetitive and boring. None of the cast really shines and the movie doesn’t make the most of its concept. Like Skyscraper, the movie failed to embrace the fact that it was a dumb movie and came off as overly serious. Everything that doesn’t involve action is extremely boring and the script is terribly written. I was looking forward to this movie but it didn’t live up to my expectations. The Meg is easily one of the worst films of the year. If you’re a fan of the previous movies there is a chance you might like this. As someone who thinks the last two were poorly made and barely funny, this one was another Johnny English movie that was a pain to watch. It has a couple moments that are funny but all of them were in the trailer. The rest of the movie is hard to watch because of how often the humour fails. This is definitely one of the worst movies I’ve seen this year. I’m a huge Del Toro fan and I like the first movie and what he did with it. This movie lacked the entertaining action that made the first movie work. All of the action is really bland and they kill off a major character from the first movie within the opening fifteen minutes. None of the new characters are interesting and the humour doesn’t work. I don’t remember laughing during the movie and they were definitely trying. Charlie Day as his character is extremely frustrating to watch and the ending set up a sequel in the worst way possible. And the worst film of 2018 is definitely Cloverfield Paradox. I love what the last two movies did. They both had this unique tone to them and this had potential to be a really cool anthology series. Unfortunately, they decided to make a boring sci-fi movie filled with plot holes, bland performances and poorly written characters. This was one of the most disappointing movies of the year to me and was hard to watch if I’m being honest. Cloverfield Paradox is easily the worst film of 2018.